and do we really need to see the wife? 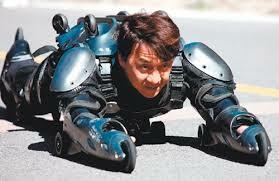 I’ve just had a tough time trying to get through Jackie Chan’s CZ12 on the plane today. It was a film that made me extremely sad. In this day and age, it’s embarrassing that producers – (and I’m talking about you JC and you, Huayi Brothers – can think it is OK to give audiences such tacky, childish fare. Yes, at this point, if my film buddies were to be reading this, they’d say the film made a ton of money at the Chinese box office. But surely pride and professionalism should still count for something? You know, it was a great premise: Art dealers trying to control prices by cheating and crime (yeah, welcome to the real world) and, at its heart, the moral question of whether looted national artifacts should be returned to their countries. 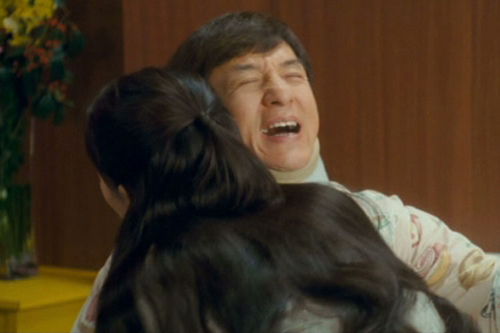 Jackie plays the master thief with a conscience (but of course). He has his merry men (and woman) but don’t ask me who because they’re so two-dimensional that they should be folded into paper cranes and sent swimming down the river. It could have been a good caper, but instead the director had to take little sojourns into 1980s Jackie Chan territory where bad puns were cute. Given that they’ve written in high-falutin’ gadgets and that Jackie has become the more hip-sounding “JC”, you just have to scream WHHHYYYY? Why the silly hysterical gweipor? Why stupid pirates on a desert island, and why on earth is one of them made up like Captain Jack Sparrow? There’s not a lot of rhyme or reason to it; just seems to be a feeble attempt to get cheap smirks (not even laughs). I’m still traumatized by the revelation that the coy offscreen “girlfriend” that JC was mooning after is actually real-life JC wife Lin Fong-chiao. Maybe the question I should be asking is why make the film at all?